The conflict in Syria and Iraq from 2011 onwards, and the Spanish Civil War in 1936–39 both witnessed a very relevant foreign fighter phenomenon. Even if the ideological drivers were different, both phenomena had a huge impact internationally on how foreign fighters were perceived as a threat in their home countries. In this article the official state responses to the two waves of foreign fighters have been compared with respect to the Finnish context. The volunteers in the Spanish conflict were regarded a security threat upon their return, since it was estimated that they might provide added expertise to the revolutionary left-wing movements in Finland. The returning volunteers from Syria-Iraq have not been perceived as a revolutionary threat to the Finnish political system, but as potential terrorists attacking the civilian population. 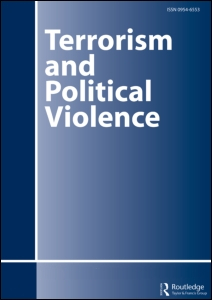 After comparing different political contexts, it can be argued that the domestic political situation has in both cases had an impact on how the threats were answered in practice. Since the foreign fighters in Spain had significant political support among the growing left-wing parties, the Finnish state response towards them remained vague. In the Syria-Iraq case there has been no political support for the foreign fighters, and the issue has been effectively securitized.